Alphabet appeal. 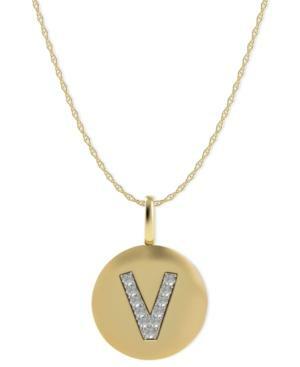 This 14k gold necklace makes a stunning statement with single-cut diamond accents forming the letter V on a circular pendant. Approximate length: 18 inches. Approximate drop: 3/8 inch.